This man’s essence immortalized in one picture. Sold! but… wtf is a Turdles? Are they home grown turdles? I hear they are way more family friendly than the farm raised turdles. If they aren’t turdles, then they’re probably crap. This guy is way more awesome than anyone can imagine. @Phyreblade: What? Like a cult? @nyokki: Wait… Wat? The turdles are a cult? Why was I not informed? This changes everything! @Phyreblade: Damnit! I’ve said too much. Never mind. @nyokki: TOO LATE! YOU’VE BEEN OUTED!! 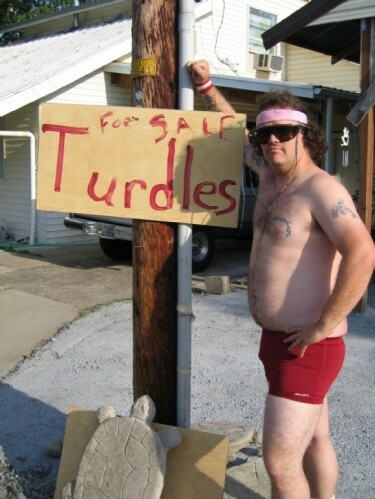 I DEMAND TO KNOW OF THIS “TURDLE” CULT OF WHICH YOU SPEAK!! @Phyreblade: Ok…it goes like this: Once upon a time…Does anyone smell almonds?…cough…cough…blargh I’m ded. @Phyreblade: You expect me to talk? @nyokki: NO! I expect you to DIE! @Phyreblade: Your gold encased, diamond tipped, lasers do not frighten me. J’aime la colÃ¨re des conservateurs. C’est trop facile maintenant. @Phyreblade: Damn! Foiled again! I’ll get you for this. These are the rural erudite folks who know lids on German steins are made of PUDER.